A range of 230V motorised valves available in 2 port zone or 3 port diverter options. Sizes between ½” and 1”. Actuator motor torque of 8Nm. These motorised ball valves are available as 2 port zone valves or three port diverter valves. They are ‘motor open’ and ‘motor close’ valves and cannot be used as mid-position or mixing valves. Are the Modulo Compact and Modulo Plus motorised ball valves temperature operated? The motorised ball valves will respond to any electrical source, like a switch, timer or thermostat. They will open and close when the electrical source calls for it, so technically they are temperature operated if you wire them with a thermostat. Do we sell diverter valves? Yes we do. Modulo Compact up to 1" and Modulo Plus up to 2" in 3 or 4-way formats. Can the Modulo Compact and Modulo Plus motorised ball valves be used in drinking water applications? No, they are designed to control and divert flow in heating systems and they are not WRAS approved. Does Emmeti’s Modulo Compact and Modulo Plus Motorised ball valves have an end switch/ auxiliary switch/ proving switch ? Yes, each actuator has an auxiliary switch (this is the same as an end switch or proving switch). This is designed to switch on when a 2-way (zone) opens (or switches flow direction in the case of a three-way valve) and allows a boiler, for example, to be switched on when the valve opens and off again when the valve closes/ switches direction. What are the maximum pressure ratings for the Modulo Compact and Modulo Plus motorised ball valves? Will other system controls feedback electrically on a Modulo Plus or Modulo Compact valve and cause the motorised valve to open or close when it is not required to? When correctly wired, there is no electrical connection between the motor and the auxiliary switch and this will not happen. Is Modulo Plus the same size as Modulo Compact? No, 1 1/4", 1 1/2" and 2" Modulo Plus has got a bigger more powerful motor @ 28Nm. Modulo Compact is 1/2", 3/4" and 1" @ 8Nm only. 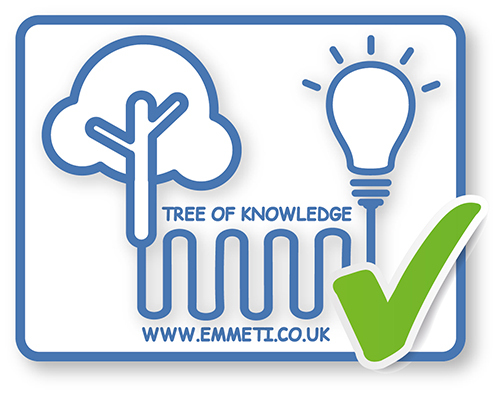 Do Emmeti Modulo Compact and Modulo Plus motorised valves have full bore valve bodies? Do Emmeti’s Modulo Compact and Modulo Plus Motorised ball valves have a spring return? No, each valve body type has its own actuator which requires a permanent live, switched live and neutral for correct operation (this is not a spring return actuator type). The motor drives the ball valve to rotate in the horizontal plane in relation to the body.